Lingt is an awesome new web-based application created by students at MIT for learning the Chinese Language (more languages will be added as the product comes out of beta). When the developers of Lingt needed to go to China to study, they realized that learning Chinese is no piece of cake. 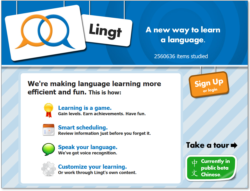 In an effort to make learning Chinese Language simpler, they put together Lingt.com – which is an intelligent teaching system that would gradually guide you to learn a new words, improve your vocabulary and help gain a foothold in the language. Its surprising how effective this system really is. I spent an hour going through the 1st session and I can confidently say that I can write, speak and identify atleast 21 Chinese words. For someone who has only heard Chinese in the movies, this is an excellent learning rate. I would need to keep revising with time of course, or I would forget all that I learnt. Lingt helps people learn the massive number of vocabulary terms required for basic competency in a foreign language. We think the biggest problem with learning a new language is simply giving up, so we’ve built something that we think makes learning more compelling. In order to learn any language, especially one as complicated as Chinese, you need to first master certain minimum number of words in the language. To make this possible Lingt starts its first lesson with a list of 30 words, which can be read on the screen and are also spoken via a recorded voice, so that we understand how to write and speak them. A word is displayed and you have to guess its meaning. At first you wont have a clue, but you can just guess or you can click I don’t know, and it will mark the correct answer. Over the time, the words get repeated several times and in later stages you know what the word means. This is the easy part actually. During the later part once you have mastered a few words, you have to spell them out, and this part is a bit tricky. After spending about an hour in the first list, I can easily remember about 21 words and also spell them. Its fun and effective. There is fixed schedule for learning. After you complete a days course, you cant go further. Next day you get to revise what you learned yesterday and then learn new words. The performance is monitored and Lingt lets us know how we are doing. 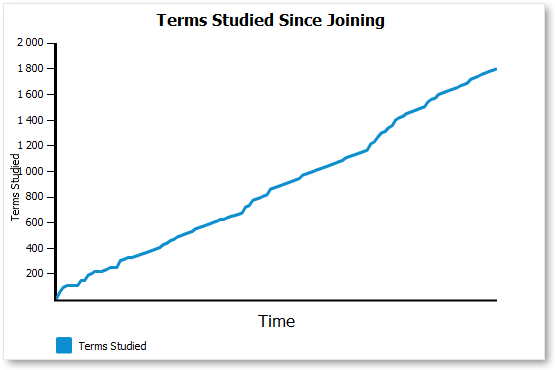 You can also see how many terms you have studied since you joined and monitor your progress. To keep this from taking up all your time, each question is timed, and if you cant answer – or answer incorrectly, you lose performance points. After you complete the days task you are provided with the summary of achievements and what’s the plan for today and tomorrow. They have introduced a leaderboard which shows how well others are doing and if you are doing well you can be one of the leaders in learning. Overall, this is a fantastic learning tool. And if you use this resource regularly, it can make learning a really tough language, both easier and fun. This service has just started and you can expect a lot of new features to be added to it down the line. Currently Lingt is in Beta phase and is free for everyone to use. They have not specified if in future, this tool would be free or paid. So sign up as soon as you can to avail a free account. Visit Lingt and start learning! Next articleUpvise is your Mobile RSS Reader, Contacts and Shopping List Manager and much more.